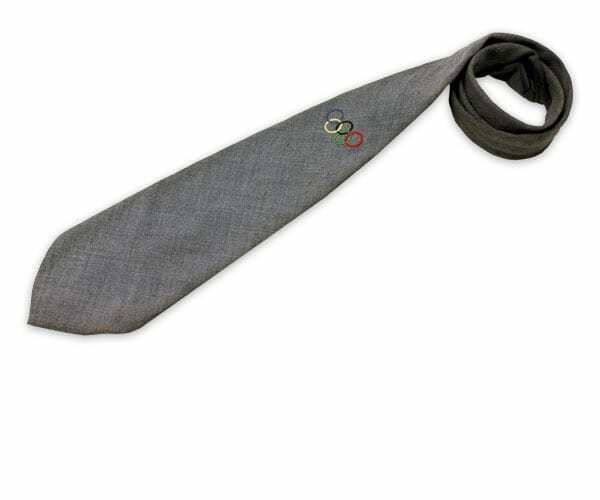 Description: Blue-grey necktie with blue lining. Olympic rings, embroidered. On the other side a batch with the text: OLYMPIA HELSINKI 1940; weaved fabric.